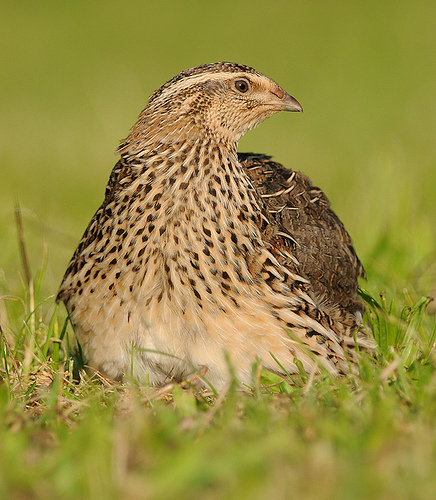 The Quail is a shy bird that seldom is seen. Only if you almost step on it, it will fly off, to the horror of the walker, who of course was not expecting this. 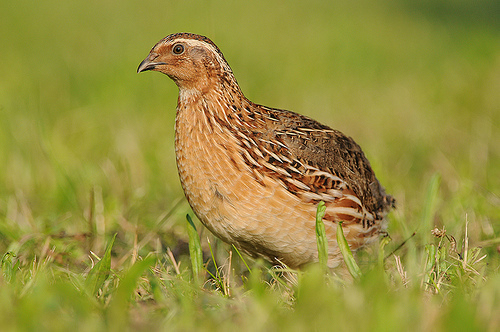 The Quail is less seen in western Europe, due to the loss of its habitat; it often breeds in grain fields, where it can find enough rest and food. The Quail is light brown, the Partridge is much greyer. The Quail is smaller and lacks the long tail of the Pheasant.